This time the article is mostly for LabVIEW newcomers – just, I’d like to share couple interesting points of how you could make LabVIEW programming easier, funnier and faster. So, here we go. What if you have function with two inputs, and then you need to swap input wires? Deleting wires is boring and slow – instead, just press Ctrl, move mouse pointer to one of the inputs, and when cursor will have scissors icon, press left mouse button. Input wires will be swapped. Instead of going to context menu -> Edit Items…, just hold Ctrl + click into enum/ring. Cursor will appear there, and you can enter new values. To create next value, just press Shift + Enter. 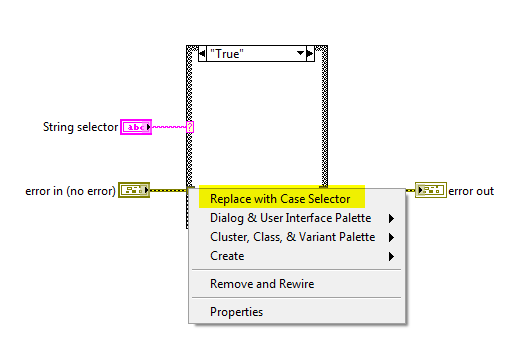 If one will click on tunnel going into case structure, it is possible to change it to case selector: right-click on the tunnel -> select “Replace with Case Selector”. This function is extremely useful during code refactoring, when one wants to wrap code into error case structure. Basic functionality, but not obviously visible at the first sight – if you’ve got multipage structure (like Case Structure, or Event Structure), you could scroll between pages as the following: hold Ctrl key, and use mouse scroll button. Everyone knows, that you could resize block diagram (make bigger spacing/expand structure) by holding Ctrl key, pressing left mouse button and moving it into desired direction. But how to make size smaller? Just hold keys Ctrl + Alt, press left mouse button – and you’ve got red arrows, so it is possible to make structure smaller, or decrease spacing between elements! This is also well-known functionality, but anyway, I can’t not to mention it. Sometimes there is need to connect wire through all the structure pages. And it is very easy – just connect wire through the first page, then right-click on the left wire tunnel -> Linked Input Tunnel -> Create & Wire Unwired (Cases). From now on, when you add new page to the structure, wire will be automatically connected through it, and you don’t need to do it manually. To improve performance, and to parallelize code as much as possible, LabVIEW offers option to configure For Loop Iteration Parallelism. Just right-click on For Loop -> Configure Iteration Parallelism… -> and in the opened window enable the functionality, set number of parallel loop instances, and other options. 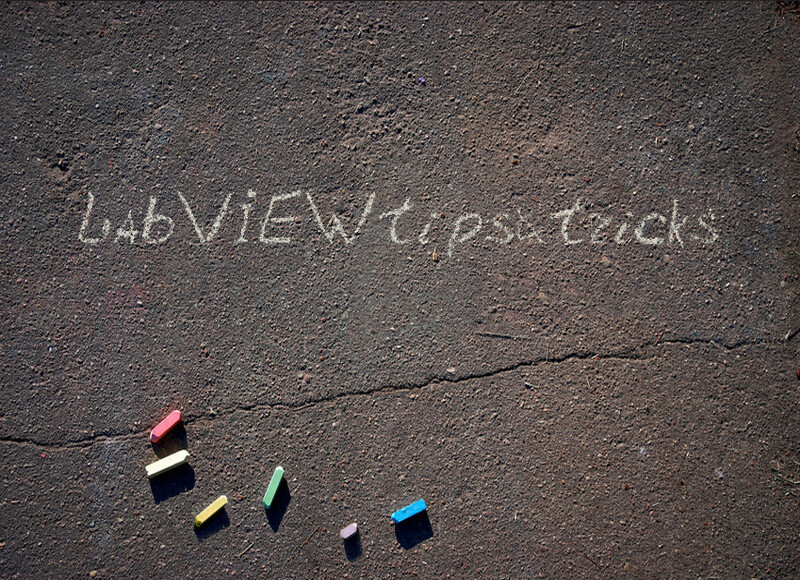 This functionality also has some caveats – so just go through this article, http://www.ni.com/tutorial/9393/en/. The same, actually, you could do with VI Analyzer tests. Yes, these tools really, really help a lot. And if you don’t use them – you must start to do it right now. Beauty is, that you may add your own shortcuts, plugins – and customize LabVIEW development environment as much as you want. And moreover, you will boost your productivity so much as you didn’t expect. “How to remember all those shortcuts?” – you may ask. 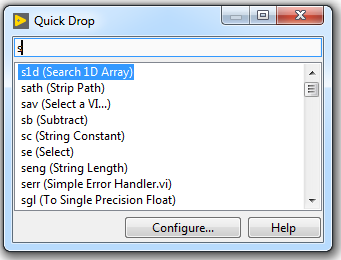 Easy – just print them out (get list of shortcut from LabVIEW.ini file), put on the wall in front of you, and mark those which you’ve used the most. In couple weeks you’ll remember most common shortcuts without any problems! Well, that’s it. Hope, that this article was somehow interesting and useful for you. Thank you for your time, and looking forward for any feedback and comments!